I worked as a UX/CX design intern for Click2Cloud, a B2B cloud migration, automation, and services company based in Bellevue, Washington. I handled multiple projects for the company. I designed interactive state models for their products, CX journey maps for their services, and completed a redesign of the download page of their website. I created low fidelity prototypes were created to test different possible layouts and menu selections. Early versions on paper mimicked the layout of Stratozone and Hypergrid with a form embedded into the product page. Later versions (including Balsamiq mockups) moved more towards the large buttons/large text layout of Hyperform. The "Request Demo" button was emphasized. 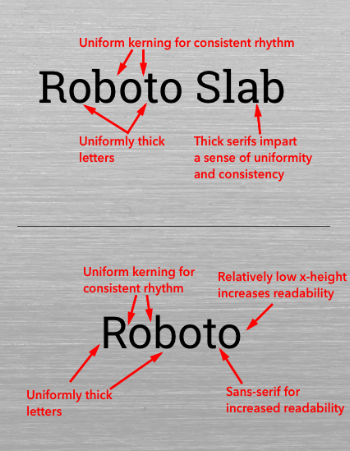 I selected the Roboto family of fonts because of its natural reading rhythm. For headings I chose Roboto Slab, to give a businesslike sense of stability. The primary blue is simply the blue from the Click2Cloud logo. Black projects solidity and authority. Red is chosen to provide a dash of urgency taking into account the business needs of Click2Cloud. The form design presented a unique challenge because it was an absolute business priority for the company to encourage people to share information with the business development manager. The most immediate and effective method I found was having a small form incorporated readily into the product download page, as shown to the right. I used two psychologically effective UI patterns to ensure the potential visitors would share their information before reaching my final design. a) Isolation Effect: Items that stand out on a page are more memorable. This meant de-emphasizing the rest of the items on the page in favor of a bright form front and center. b) Limited Choice: Fewer options are more likely to lead to a decision. This meant providing only a small escape area (the 'X' at the top right) and the large "Request Demo" button to move forward. The final form design used both of these effects extensively to provide a tightly controlled experience that emphasizes only what's relevant. Further, instead of a small form, a large form pops up that isn't on a separate page, to reduce the friction for a potential customer visiting. My internship with Click2Cloud was my first true experience of working with real world pressures on a company. Communicating with developers and programmers while being the voice of UX within a B2B company was a challenge. By finding 'allies' within the system who could co-advocate for good design within the company like the business development manager, I was able to deliver one of many products that in my estimation fulfill my remit of bringing consumer grade UX to a business facing company.